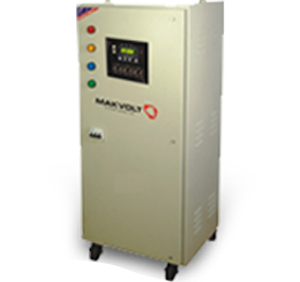 Uses solid state control circuits, no relays, no warm-up time, for high reliability. Quick response time 10 milli sec (half a cycle). Excellent regulation as high as ± 1%. Professional grade ICs and components are used for high reliability. Unaffected –by load power factor. Very high efficiency above 95%. Very low No Load losses. Operating Frequency 47 – 53 Hz.